Has your soul ever been inexplicably tied to a location? As if it were a part of who you are? For me – Nurnberg is such a city -forever imprinted on my heart and mind. I hope that you will travel there some day and indulge me a little as I tell you about it. Nurnberg is a city in the State of Bavaria in the region of Middle Franconia. It is situated on the Pegnitz River and the Rhine-Danube Canal. It is located about an hour north of Munich – which is at the base of the Bavarian Alps. As far as German cities go, it is a fairly large city with a 2006 population of about 1,020,000. Nurnberg has a long and interesting history. 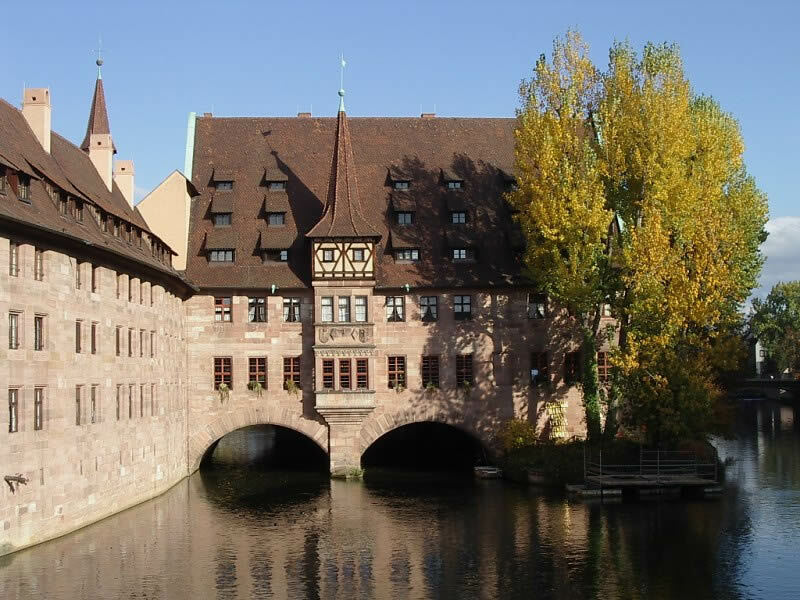 It is often referred to as having been the “unofficial capital” of the Holy Roman Emperor, particularly because courts met at Nurnberg Castle. During the Nazi era – Nurnberg played a significant role as the Nazi party picked the city to be the site of huge Nazi party conventions – the Nazi rallies – which were held annually from 1927 to 1938. 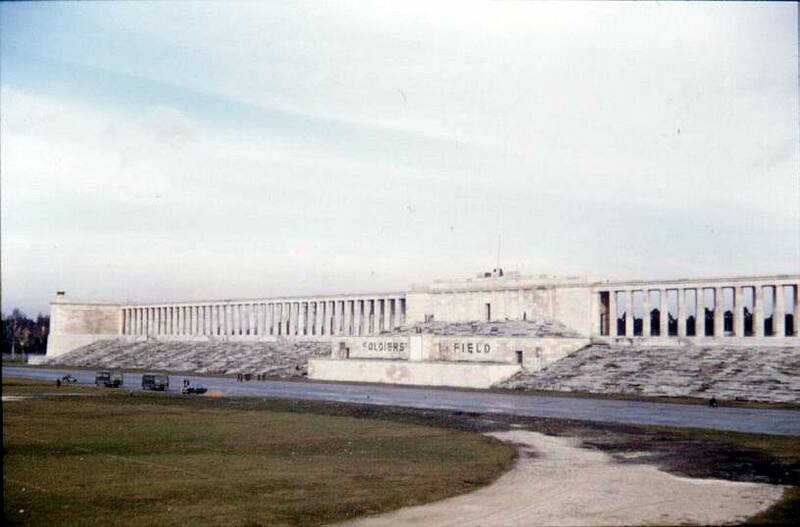 You might be interested to know that this rally location is now called Soldier’s Field….and this is where Nurnberg American High School played its football games. Go Eagles !!! 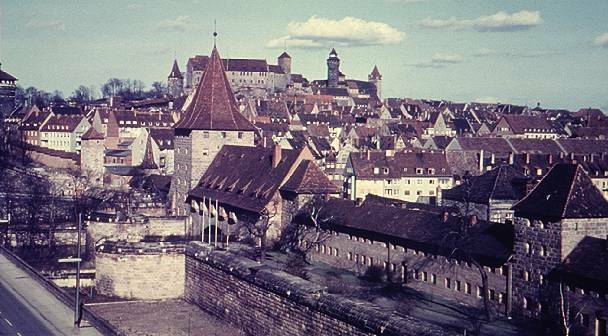 Despite the devastation of World War II, Nurnberg was eventually rebuilt and was to some extent restored to its pre-war appearance, including the reconstruction of some of its medieval buildings. I can’t even begin to tell you how often we toured these landmarks – the ancient old city (“Alt Stadt”) surrounded by the Nurnberg Wall – the Nurnberg castle – the Germanishe Museum – the Albrecht Duhrer house – and the Tiergarten (Zoo). They are a part of me and always will be. 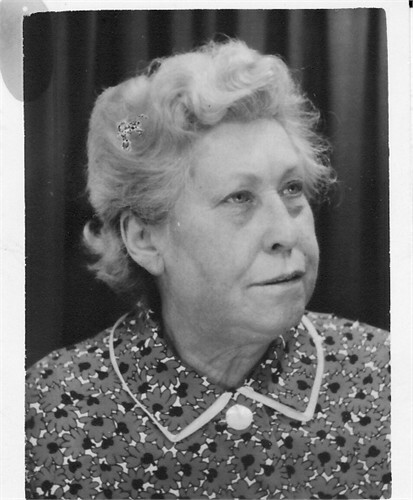 For years after leaving Germany – into my adulthood – I would dream about these locations – and in my dreams my grandmother (Anna Marta Lipsdorf Geier) would always be there with me. One night in my dream she told me that, “I wouldn’t be coming to visit her anymore.” And three weeks later my grandmother had a massive stroke and died while visiting her sons in east Germany. I never visited Germany – or saw my grandmother – in my dreams again. I wish you all sweet dreams……..
Great, with your background I hope you can held me with my German ancestors. LOL! I wish I were further along with mine. The Germans don’t exactly make it easy for you when it comes to genealogy! Two friends, my girlfriend and myself had such a pleasant time in this city last summer. Went to a raging club night where all the locals bought us way to much Jager, they were very enthused to have some American tourists. Next night had a quiet barbeque, in the midst of many beautiful backyards. Did some touristy stuff, had such a wonderful lunch and the cutest cafe, ate ice cream somewhere near or in the castle. I visited Nürnberg last March and it was by far the most enjoyable vacation I’ve ever been on. It’s been a place I’ve always wanted to go to and it couldn’t have possibly lived up to my expectations any more than it did. Everyone, from the time I landed til the time I stepped foot onto the plane to leave, was extremely nice and helpful and I can’t think of one negative experience I had the whole time I was there (other than the night I left my key in the room like a klutz when I went to put the room service trays outside the door and then having to go down to the lobby in my PJ’s and socks to get a new key lol). I can’t even begin to describe how relaxing sitting on the wall at the castle early in the morning and just looking out over the city was, that was something I’ll remember for the rest of my life. It’s definitely a place I would love to live in if it was at all feasible. Hi Judy, My family comes from Nurnberg, I was the first and only one born here in the US besides my children now. I spent every summer as a chilld there with my Oma, Opa and the rest of the family. Germany saved me from the concrete jungle that I lived in Long Beach, CA. Every day we would do something and where ever we were we would stop for cafe. I would be there long enough to go to the Volksfest. We would visit passed family members at the Sud friedhof and West. My favorite food was schnitzel too and a limo. 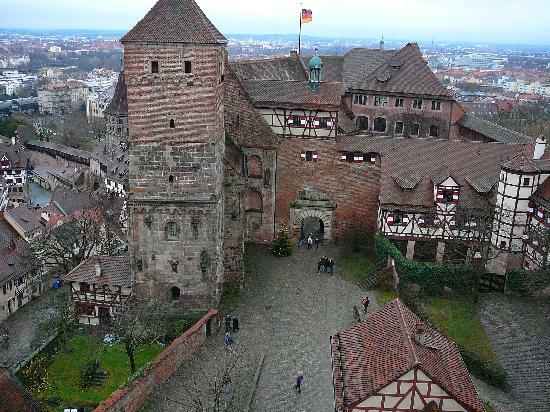 I am so home sick, that is how I found your blog just googling pics of Nurnberg. The last time I was there was 5 years ago but unfortunatly it was to lay my mother to rest who died way to young but at least back in her homeland. Not sure when I will go again due to my fear of flying that I now have, my kids are still young but I would love to show them all my favorite places on day.